This summer at the Glimmerglass Festival, the buzz was all about Francesca Zambello's exciting new production of Ariadne in Naxos. 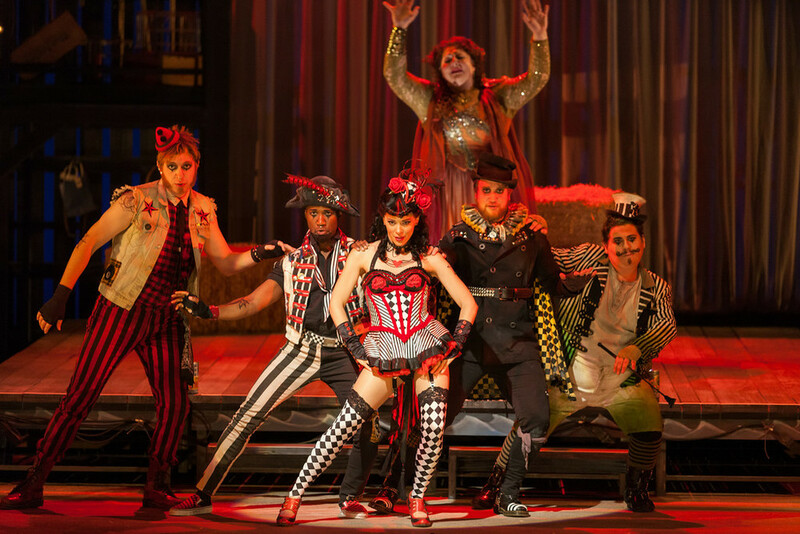 An all star cast combined with an upstate New York barnyard bash, goats, roosters, and a brand new English adaptation by Kelley Rourke made for a thrilling night of opera for audiences. Rachele starred as Zerbinetta alongside Christine Goerke in the title role and Catherine Martin as the Composer. The orchestra was led by Kathleen Kelly and fantastic costumes were designed by Erik Teague.